Here are the best "How to Draw" step by step pictures for kids to use for free. You could find here a large collection of how to draw images such as animals, birds, things, house, flower, butterfly, etc. This site "HowToDraw.pics" provides your kids an easy way to learn drawing online. Here you could find the step by step description of drawing pictures. The "HowToDraw.pics" gives you a foundation for learning drawing. 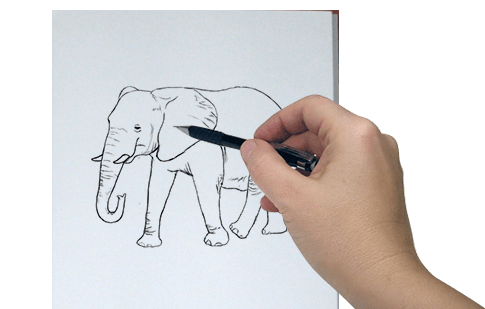 From the variety of easy drawing pictures given here, you can click on any picture to navigate to the page containing detailed steps on how to draw that picture in a step by step procedure. These how to draw learning lessons are free of cost. Select your kids favorite picture, click and learn how to draw it. Do you love drawing. Do you wish your kids learn drawing. Here is the best site to learn drawing online. From the list of "how to draw" step by step pictures given here select your kids favorite ones to make them learn drawing. You could see a simple step-by-step drawing tutorial for each picture. All these easy drawing pictures are free to download.